There was roughly 3,400 sf of leftover storage space that was the motion picture theater stage in the second Gillis Building within the Rivermarket. The space had four existing levels and sloped floors between. The building owner asked that an initial layout be built so that tenants could see the potential. 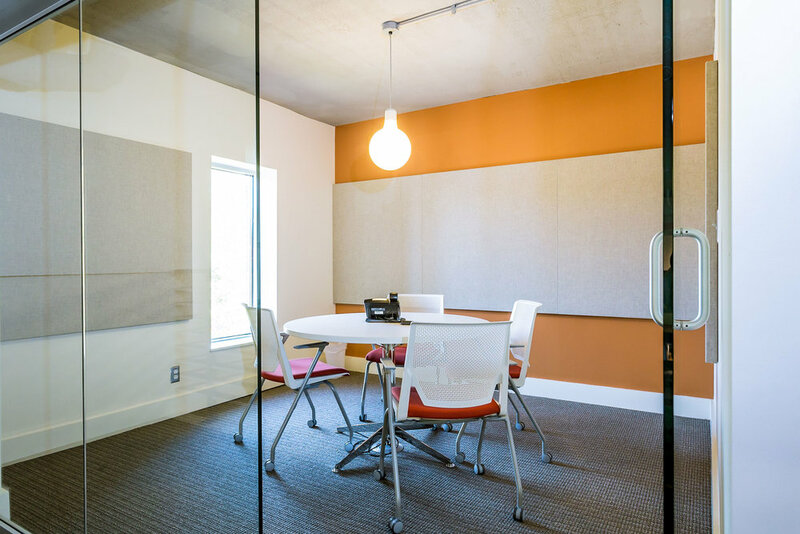 Andrew and Rick (Spotlight AR) had more vision than they knew what to do with, so the space was designed for them with the idea of creating cohesiveness between odd-shaped windows, four different levels and an electrical service in the middle of an exterior wall. Circulation guides you through the space on foot, but controls your vision as well.